1) Contact Jo to make an enquiry. 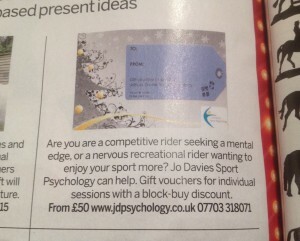 Jo will be able to advise the cost of a consultation(s) so you know the ‘practical’ value of the voucher. 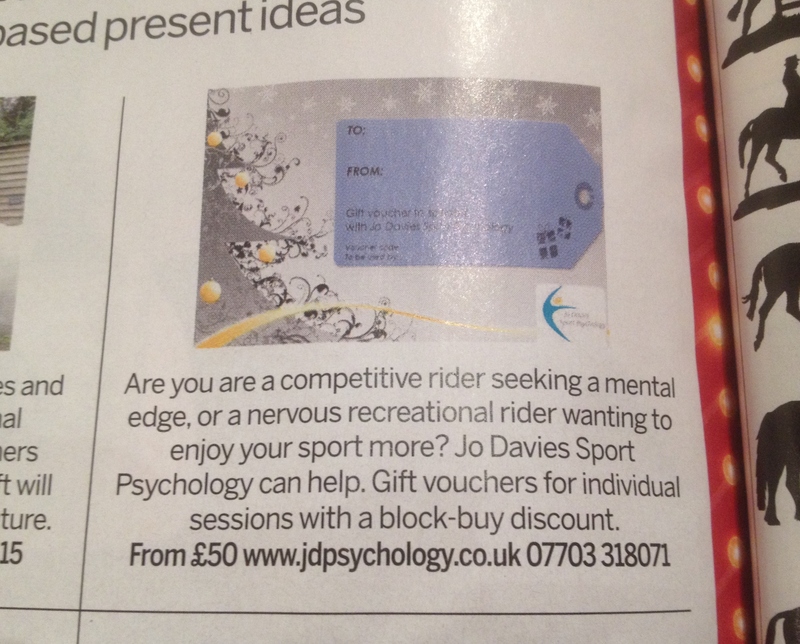 Typically, a 60-minute individual sport psychology session is £65 (travel costs may apply). 2) Place your order for a gift voucher to your chosen value. You can select between two designs and personalise your gift voucher message. 3) Your gift voucher will be emailed to you within 24-hours of payment receipt. 4) Print off your voucher or email it directly to your family member/friend; who can then get in touch with Jo to arrange a time/date for their first consultation. 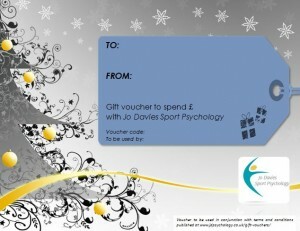 Gift vouchers are redeemable for individual consultations only. Workshops/group sessions do not apply. Gift vouchers will contain a code, which should be quoted by the named gift voucher recipient when booking their consultation(s). Sport psychology consultations will take place at a mutually agreed location. 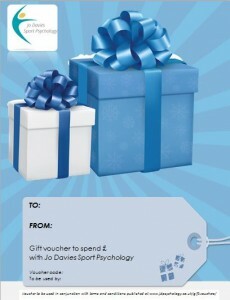 The full-value of the gift voucher should be used within 12-months of purchase; all gift vouchers will be dated as such.